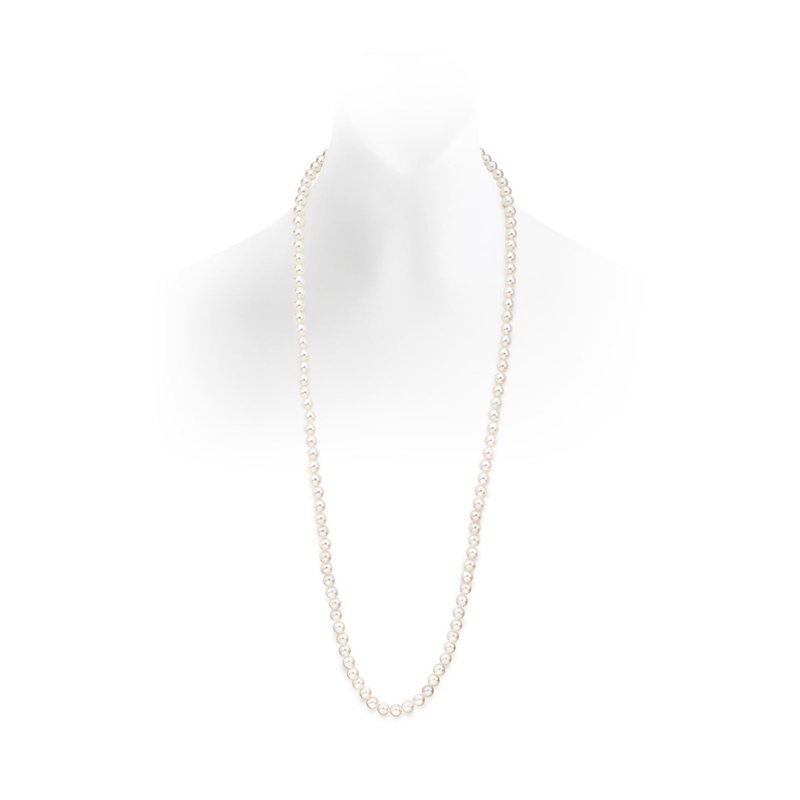 Enjoy the style of the roaring twenties with this opera length necklace of Akoya pearls, a saltwater pearl admired for its white colour and excellent lustre, and finished in 18 carat white gold. 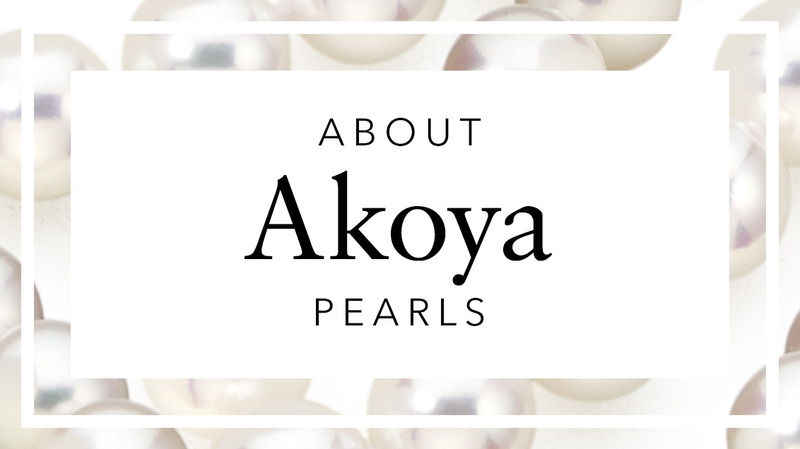 Akoya pearls are a type of saltwater pearl that are characteristically white, with a pink overtone. 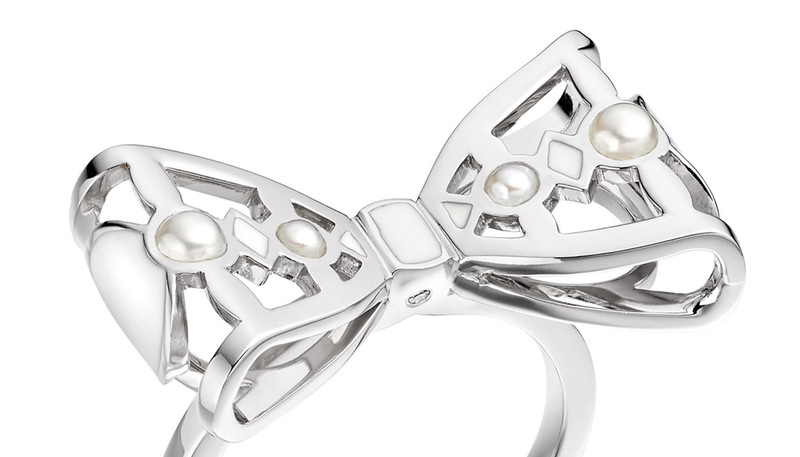 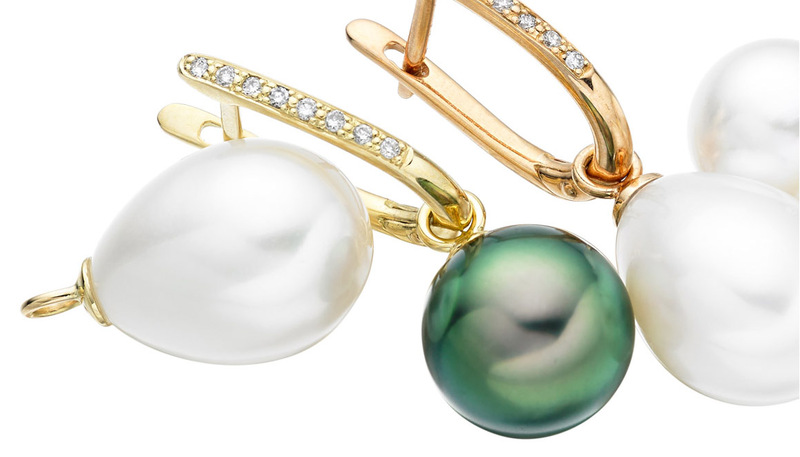 These round pearls are 7-7.5mm in diameter and are traditionally cultured in Japan. 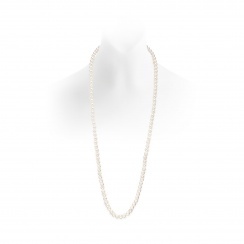 The 90cm necklace can be worn long or looped twice around the neckline. The necklace is individually hand-knotted between each pearl for safety and comfort. 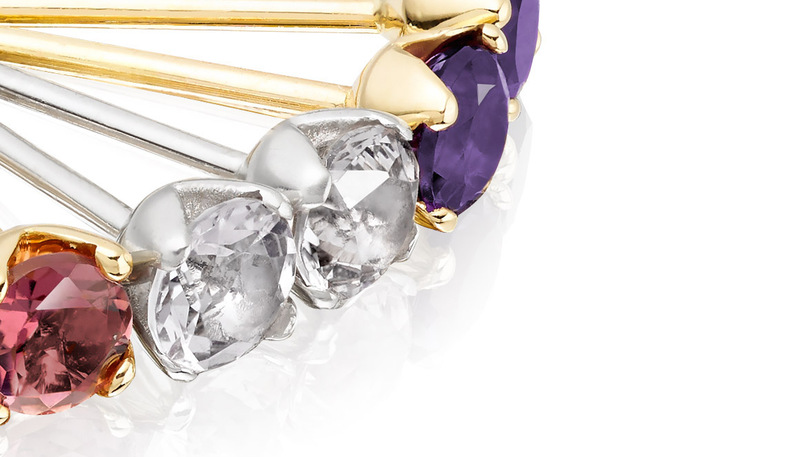 An 18 carat polished white gold ball clasp completes the necklace. 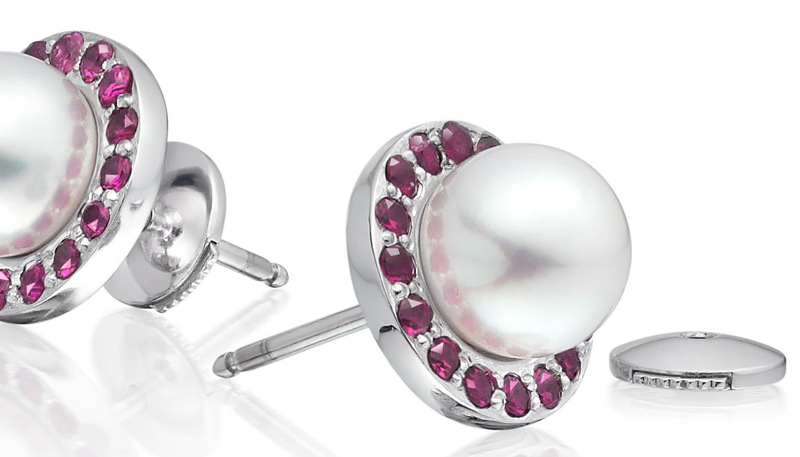 This model is also available with a yellow gold ball clasp. 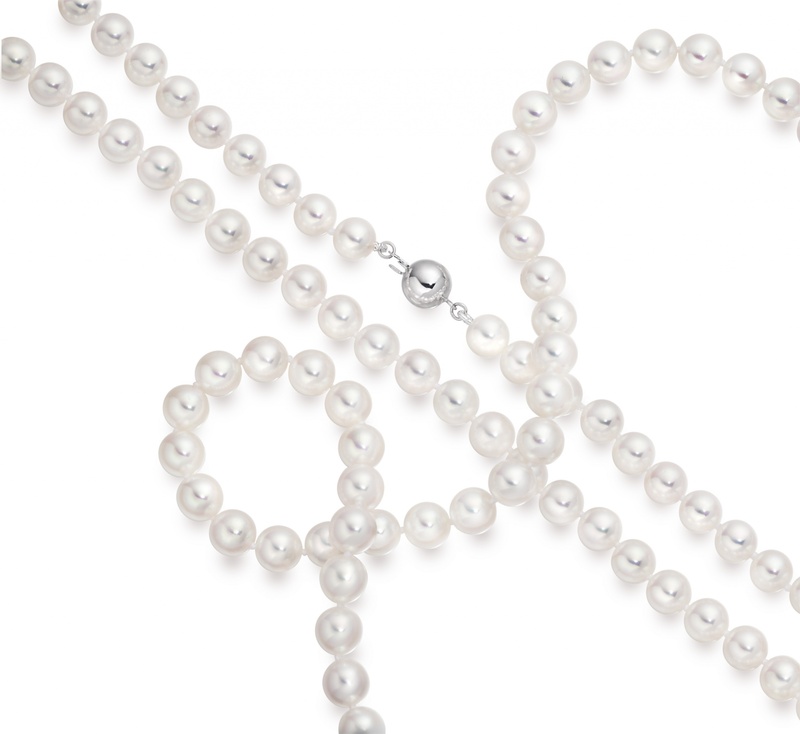 If you are interested in a different length of necklace, please contact us for further information.